Mechanical keyboard switch maker Cherry has developed an all-new switch designed specifically for fast and frequent typists as well as gamers that demand low response times. Dubbed the Cherry MX Speed Silver, the new linear switch features an actuation point of 1.2 millimeters (40 percent faster than standard Cherry MX Red switches) and a low actuation force of 45 cN (centi-Newtons). They carry a rated lifespan of 50 million keystrokes. We can probably blame eSports for spawning the new Cherry MX Speed switches. If you’ve paid attention to the gaming keyboard market lately, you already know that manufacturers have started developing their own mechanical switches. Logitech, for example, has its Romer-G switches, Das Keyboard recently launched its Division Zero line with new switch choices and Razer has relied on "its own" green switches for a few years now. Regardless of which switch type you prefer, it’s good to see companies like Cherry continuing to innovate. After all, more choices for the consumer is something we can all get behind. 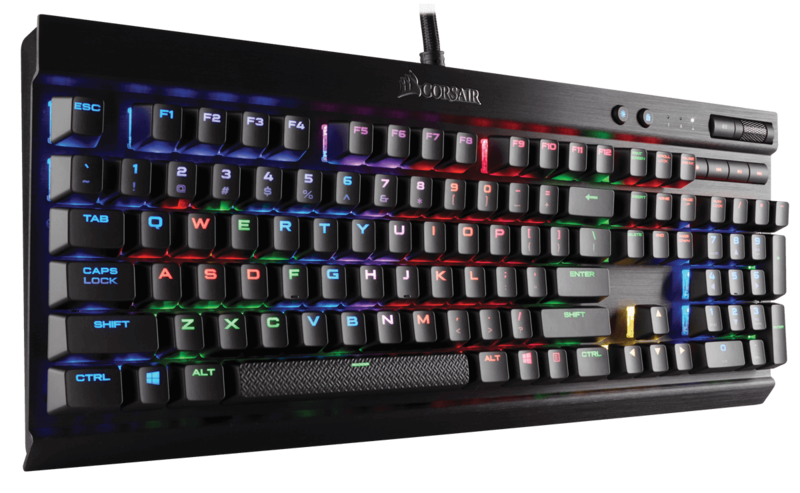 If you’re interested in trying out the new switches, you’ll need to get your hands on one of Corsair’s three new keyboards as the PC peripheral maker is the exclusive launch partner for a period of six months. The new Corsair boards equipped with Cherry MX Speed switches include the K70 RGB Rapidfire priced at $169.99, the K65 RGB Rapidfire at $139.99 and the K70 Rapidfire for $129.99.